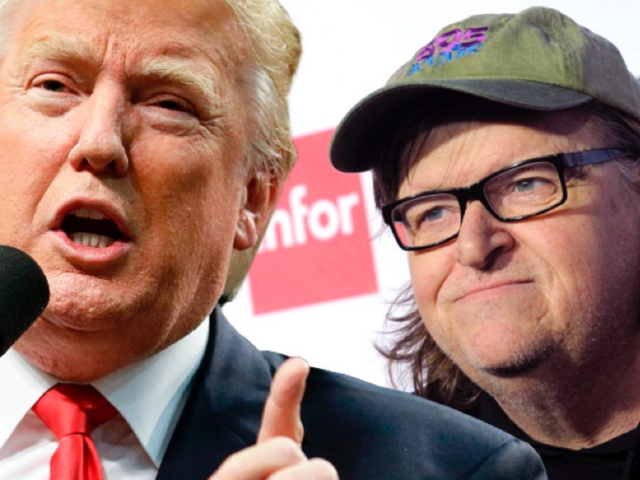 Michael Moore makes no secret of his feelings towards Donald Trump. Since Donnie was elected back in 2016, Moore has taken every opportunity to publically oppose the toddler-in-chief and everything that he stands for. He gave a speech at the Women’s March in Washington, has given a number of interviews on late night television and even penned a letter to Ivanka Trump asking her to intervene in her dad’s ridiculous antics. The film’s title references both the day that Trump was elected and Moore’s 2004 documentary Fahrenheit 9/11 which critiqued the Bush presidency and the ‘war on terror’. …Moore describes Trump as an “evil genius” and speaks to the potential power of his new film. Fahrenheit 9/11 remains the highest grossing documentary of all time, having made $222m worldwide. It’s the latest offering from Moore aimed directly at the effect of Trump, following on from his filmed one-man talk Michael Moore in TrumpLand and his Broadway show The Terms of My Surrender. Moore was originally set to make a film about the president with the Weinstein Company before Harvey Weinstein was hit with multiple allegations of sexual assault. The documentary will premiere at the Toronto Film Festival and is set for release in US cinemas on 21 September 2018.